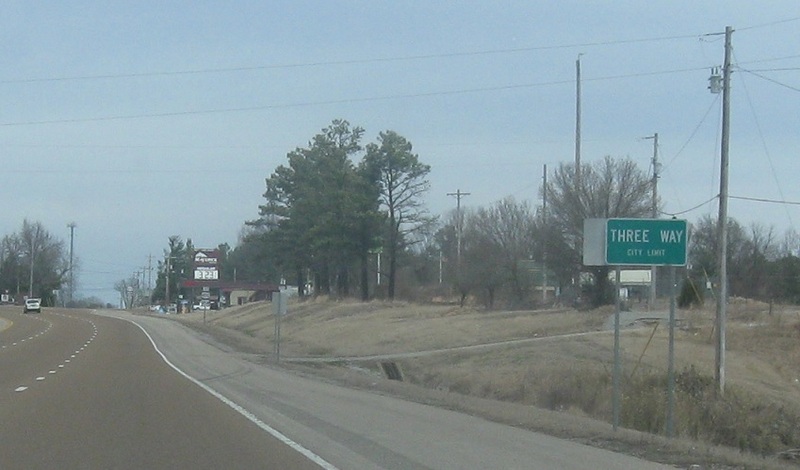 Just after the bypass ends, we’ll enter the town of Three Way. 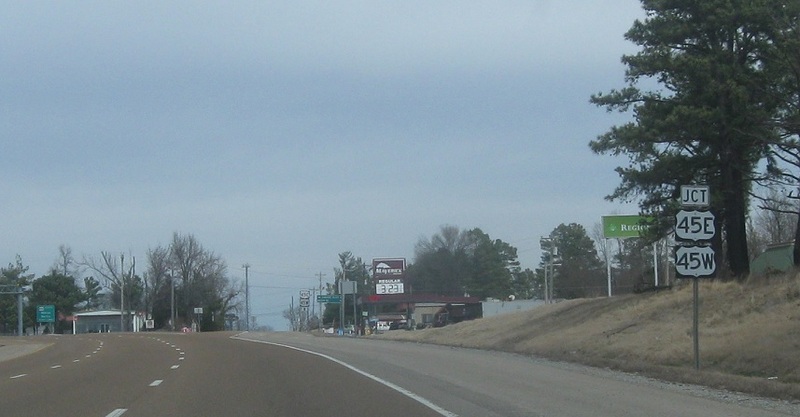 In Three Way, presumably named because of the junction, US-45 splits into two branches. 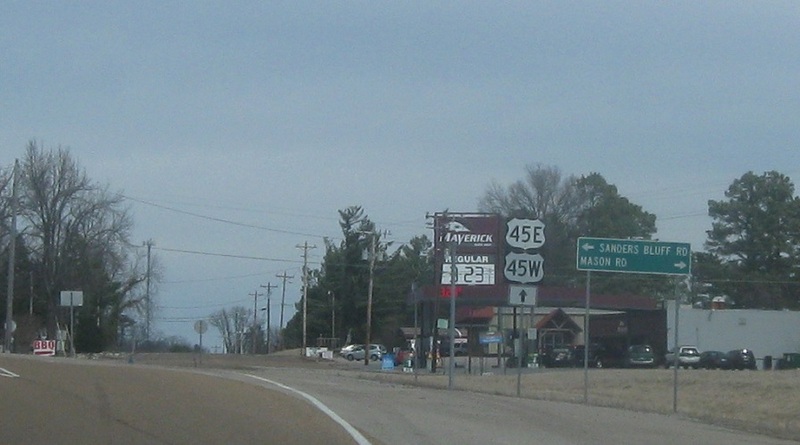 Stay straight to access 45E and 45W. Keep right for US-45E north towards Melinda and Martin. 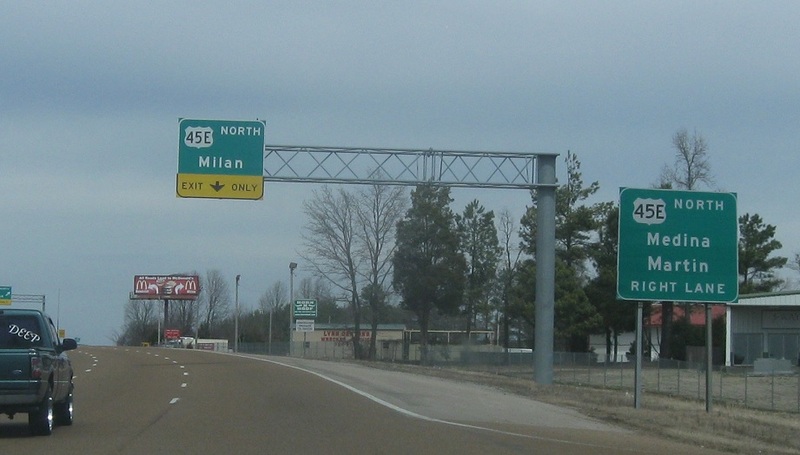 Exit for 45E/TN-43 (which begins here)/TN-186 north towards Milan. 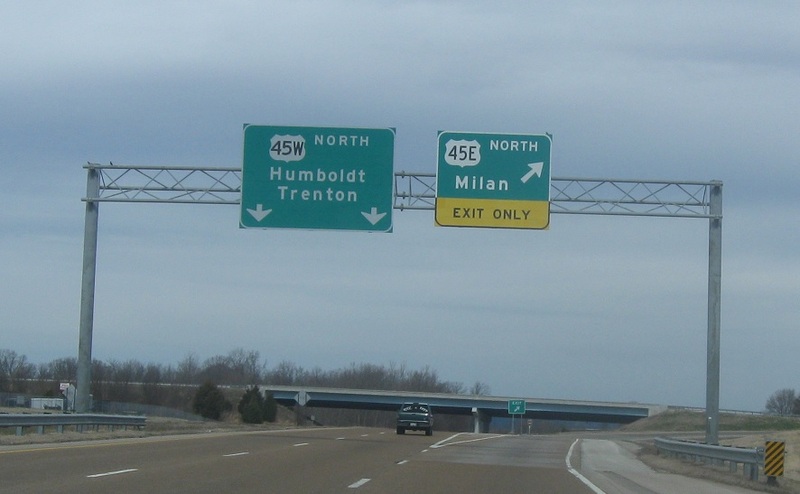 Keep left for US-45W/TN-5 north towards Humboldt. The branches rejoin in South Fulton.